Every decade seems to have it's terrible fashion trends and we are definitely no exception! Although it seems lately that we have to bring back other decade's mistakes and try to have a go at them a second time. Tribal everything - what can a girl do to get a clean classic look these days?? I go shopping with the mindset my kingdom for a plain color top. Don't get me wrong I love prints but I'm not 22 half the tribal looks would put me in the "eek how old does she think she is" category. So many of the prints just look ghastly too. Their either way overdone, don't flatter the wearer or look cheap. Palazzo and gaucho pants - these too get lumped in together since its the mama version and it's terrible capri length offspring. Another look that is just NOT flattering on most of the world. Why should I pay to wear something that makes me look frumpy? Granted my current dress pants are going that route but that's because I have lost over 20 pounds and it cost more to have them tailored than I paid for them. 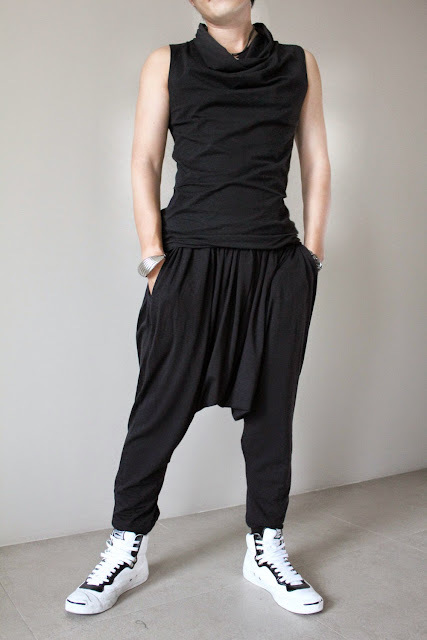 Harem pants - I feel like this was one of those trends that should be left in an MC Hammer video and even then eek! No one wants to see the likes of Justin beiber looking like he needs his diaper changed. Crop tops - All the rage in the 90's and sported by some of my favorite teenage idols ... Kelly Kapowski anyone? Does anyone over the age of 22 really need to be showing off skin like that? Ehhh questionable. Half the time I feel like the top just isn't flattering either. My theory with any trend is it flattering why are you even wearing it?! Rompers - I feel like it looks really cute on like 2% of the population and terrible on everyone else. I am definitely NOT one of that 2%. Do people who wear them just never go to the bathroom? Seriously it would be terrible with all the water I drink and the natural amount I use the restroom as a result I'd be naked half the day. Plus it makes me nuts when I see a super cute maxi dress in the store and run up and it's a darn romper! Oh fashion I will probably never get you!